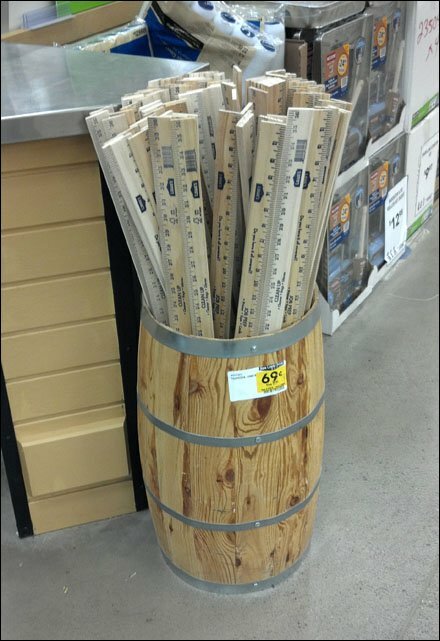 If this is a hardware store, then this must be a Nail Keg Straight Edge Yardsticks display and not an ordinary Cooper’s Barrel. To confirm I checked, and yes there was no Bung, so it is a Nail Keg indeed. It adds to the hand crafted nature of the straight-edge Rulers it offers. Why Rulers and not Scales? 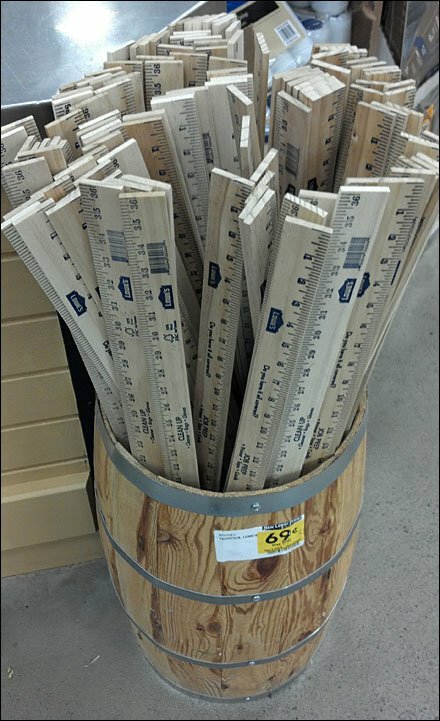 A Ruler is for lining and measuring in one unit. A Scale allows measurement or scaling in multiple units. My personal favorite is the Architect’s Scale.